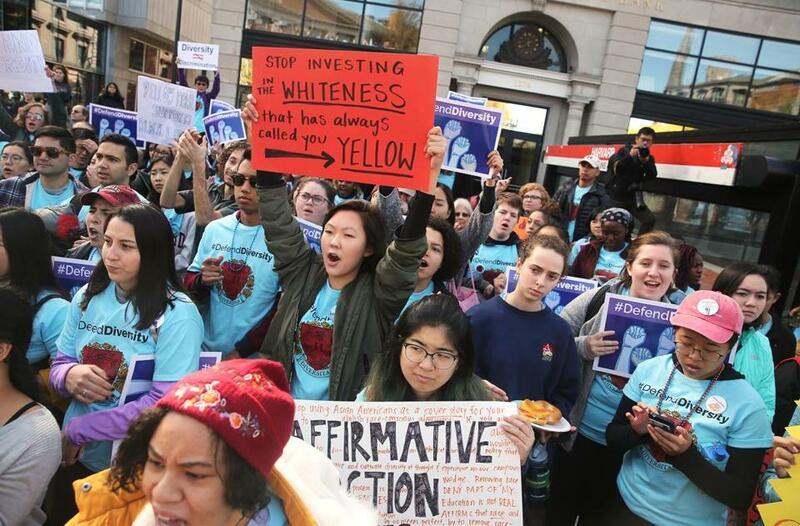 Supporters of admissions policies that include race as a factor marched in Harvard Square on Sunday. 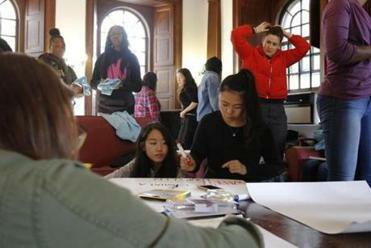 The high-stakes case accusing Harvard of discriminating against Asian-American applicants has reopened a sharp national debate over race, equity, and merit. Jeremy C. Fox can be reached at jeremy.fox@globe.com. Follow him on Twitter @jeremycfox. Cristela Guerra can be reached at cristela.guerra@globe.com. Follow her on Twitter @CristelaGuerra.